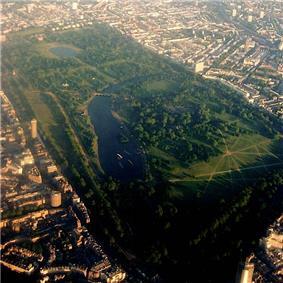 Highams Park, Hollow Ponds, Leyton Flats and Wanstead Flats are all part of Epping Forest which stretches from Manor Park in the south to Epping in the North. The boundary of the London Borough of Waltham Forest crosses the Forest by Connaught Waters, a popular beauty spot. The Borough also includes Chingford Plain and the historic Queen Elizabeth's Hunting Lodge in Chingford. Ainslie Wood is the borough's only Local Nature Reserve.